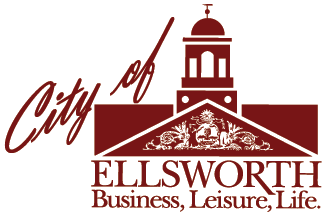 In the City of Ellsworth, boards and commissions cover a wide range of subjects important to the community and provide an opportunity for citizens to affect decisions that shape quality of life. The Ellsworth Board of Appeals is appointed by the City Council to hear and decides appeals. The Frenchman Bay Regional Shellfish Conservation (FBRSC) manages shellfish resources of Frenchman Bay and educates harvesters and consumers to create a viable industry. The Harbor Commission advises the Harbormaster and the City Council, establishes operational policy and procedures, budgets and capital improvement priorities for the Harbor and Harbor Park. The Historic Preservation Commission manages projects to ensure the preservation of historic properties in Ellsworth. The Ellsworth Planning Board reviews all proposed subdivision and major conditional use projects. The Recreation Commission promotes recreation activities and collaborates with area organizations to encourage recreational activities within the community and at city-owned recreational facilities. Ellsworth School Board is a five members board elected to serve 3-year terms. Visit the Ellsworth School Department to learn more about the School Board.